Christmas eve | Can Men Cook? To offset the excess – what?? We are doing the Dry January thing. After the excesses of Christmas – it does feel nice to have a rest! Or at least, that’s what my liver would say if it could talk? Fish and chips Phil style! We started the detox (ish…) on Christmas eve. 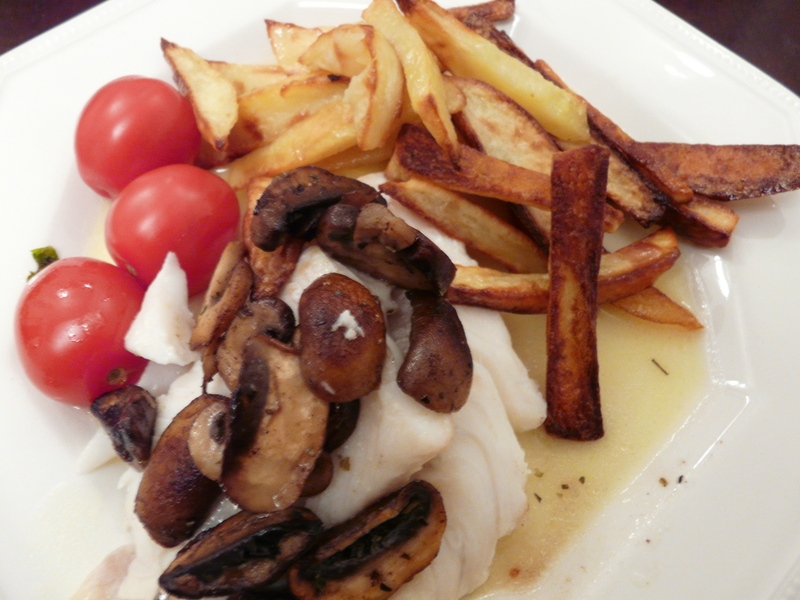 Knowing what was to come – pan fried then steamed a small piece of cod each (steam by adding lemon juice to the pan, lowering the heat, and putting a lid on the pan – works really well). Chips – spuds chipped and skins left on, 5 mins in microwave, 30 mins i oil in the oven at 180. Mushrooms and tomatoes done in steam in the frying pan. Sauce is the lemon from the pan huices – lovely – and cleansing! Slightly hot turkey with chickpeas and curried carrots, butter beans and shallots. The first one here has left over turkey as the base. The carrots were microwaved, then had garlic, olive oil, ginger, lemon juice, chilli, honey vinegar and salt added. I added some chilli to the turkey – and the beans and chick peas just soak up all the flavours – stunning. 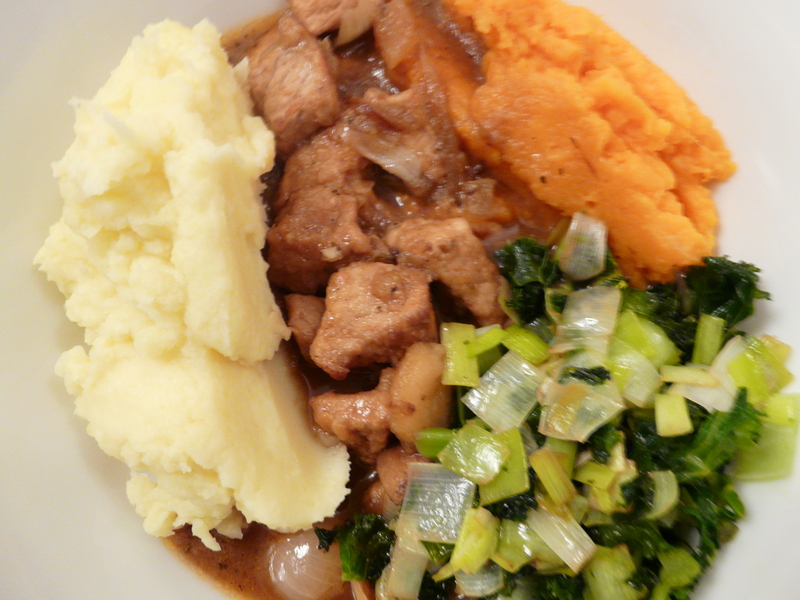 Finally, we had a pork stew, with kale (cooked for 8 minutes in water, then drained, fried off a leek in the pan, and re-added it to it – kale tastes great with a bit of leek!). 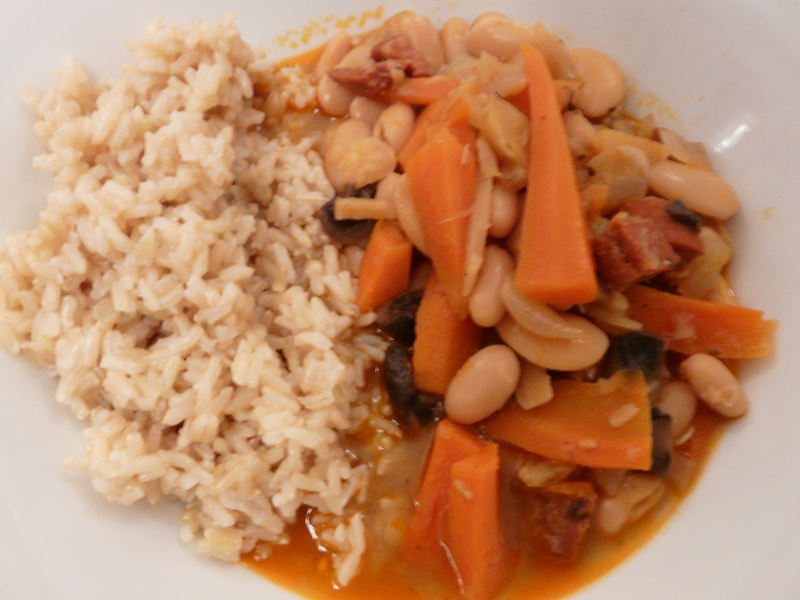 Butter beans and borlotti beans – all add to the clean feel. Warming and tasty – and good for you. Loving winter!